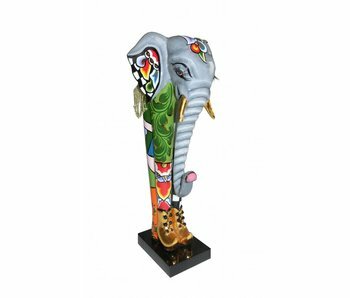 Elephant figurines in bright colors and great details. Handmade by Toms Drag. 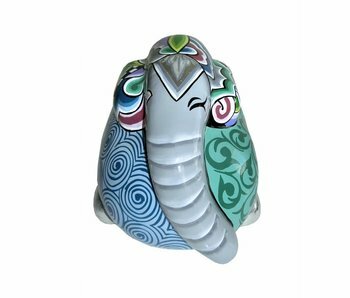 Elephant Ganesha - L, the Hindu god of wisdom and knowledge, is a genuine, hand painted Toms Drag in fresh colors and part of the Silver Line. Size 21 x 25 cm. 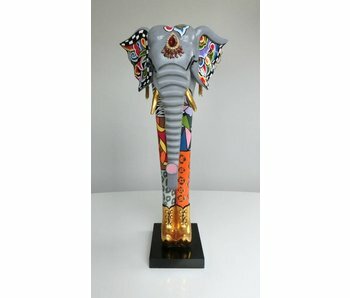 Elephant Ganesha - M is the Hindu god of wisdom and knowledge. 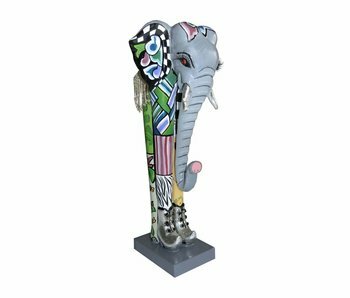 This piece is a genuine, hand painted Toms Drag in fresh colors and part of the Silver Line. 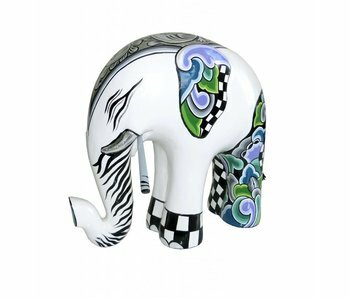 Size 12 x 12 cm. 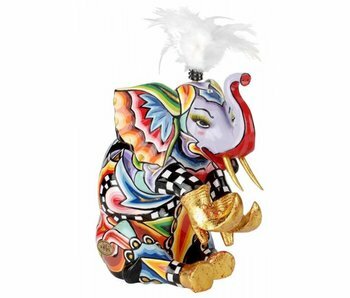 Elephant Ganesha - S is the Hindu god of wisdom and knowledge. 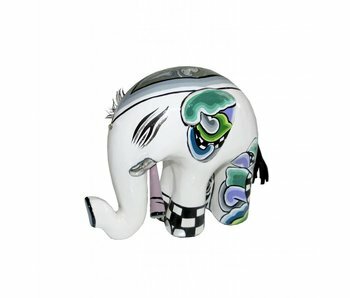 This piece is a genuine, hand painted Toms Drag in fresh colors and part of the Silver Line. Size 7 x 7 cm. 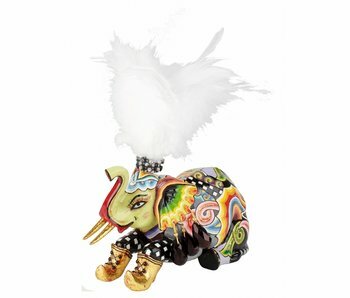 Miss Baba the elephant from the Drag series of Toms. 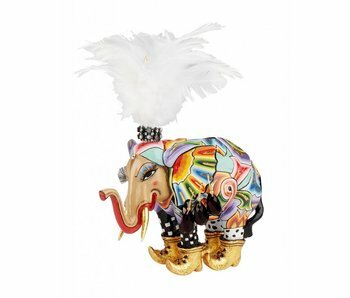 Height 15 cm including white plume feathers. 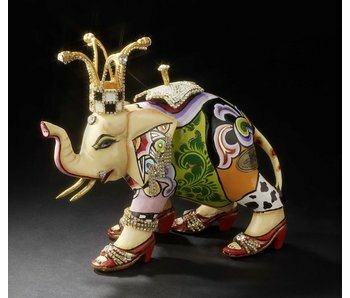 Made of marmorin and hand painted. 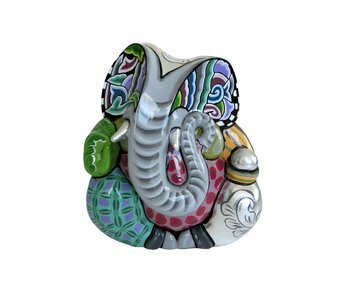 This elephant Soliman is made of hand painted marmorin, size 15 x 15 cm. 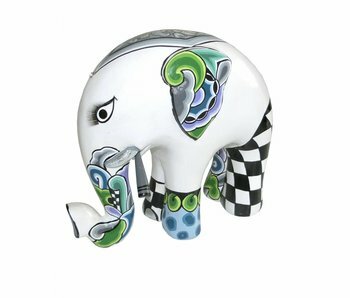 The elephant is one of the five smaller elephants from the Drag collection of Tom Hoffmann. 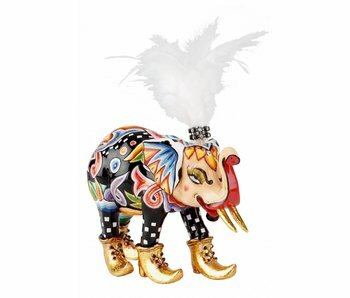 The elephant has eyelashes and black earrings. 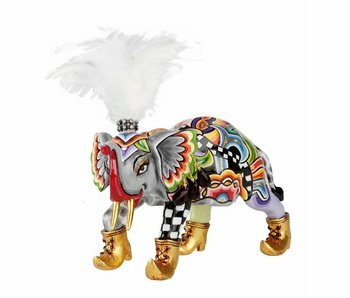 Fine art work: Jewellery box Elephant Juliana in Drag style. 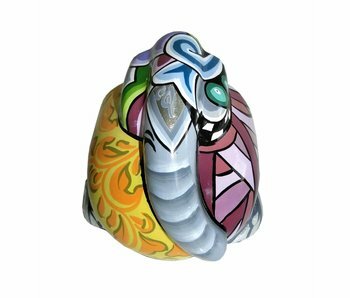 Below the rhinestone covered lid there is a small storage compartment (for example for rings). 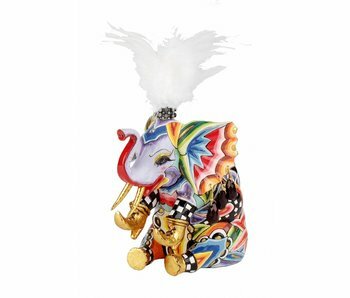 Beautiful and colorful Drag elephant Jumbo. 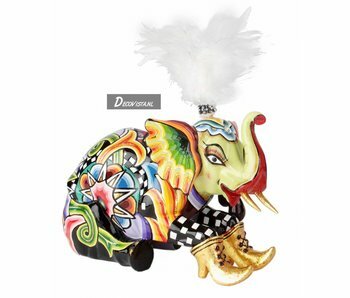 It is hand painted and hand decorated with earrings, eye-lashes and detachable white plumes. 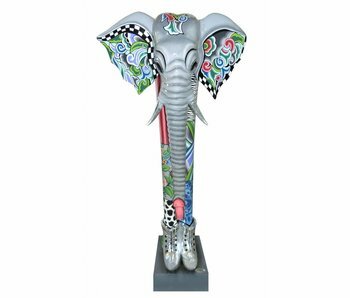 A design of Tom Hoffmann. 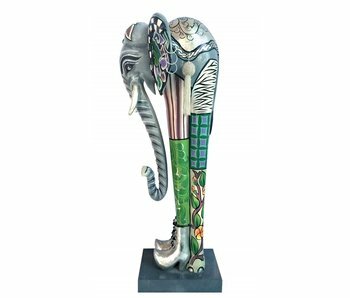 Height including feathers: Height 38 cm x wide 24 cm.